The elegance wreath is part of the decorative collection line of holiday decorating ideas. 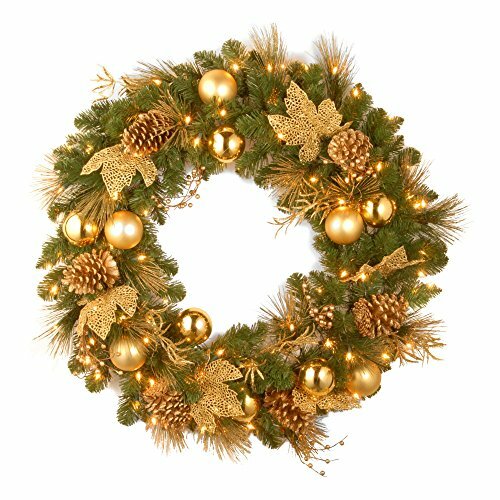 This gold accented wreath is trimmed with glittered twigs, leaves, pine cones and ball ornaments. It is pre-strung with 50 battery-operated warm white LED lights that are energy-efficient and long lasting. 6 hours on/18 hours off timed operation. This wreath can be displayed on doors, walls and windows in indoor or covered outdoor locations.